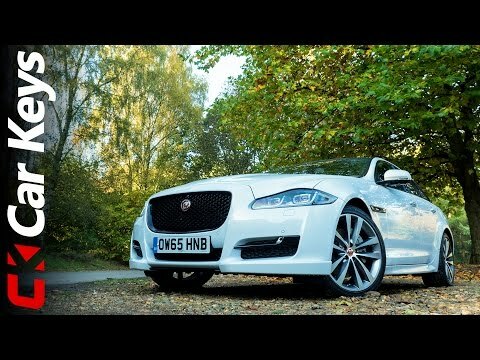 If you like a little British style to go with your full-size luxury sedan, then the 2016 Jaguar XJ is the unique alternative you've been waiting for. An alternative to big sedans from BMW, Audi, Mercedes-Benz and Lexus, the 2016 XJ offers up a refreshed exterior design, new interior details, and combines the brand's modern sensibilities and traditional high-end luxury. Best car of 2016! (real review). I love my car! It has comfortable seating, my car has good horsepower and accuracy. The engine does not run down easily like other cars! When your acceleration is too fast the car has a break limit. Good seating for five people if you have a big family. The glass pane is indestructible. Jaguar XJ supercharged is great luxury and sports car. The car has massage seating. I like the look of the inside, very luxurious. I also like that the seats have a massager. I don't like that the body is so long and the trunk is somewhat small.